I've seen this picture passed around for years and thought it would be good to give more information about it. 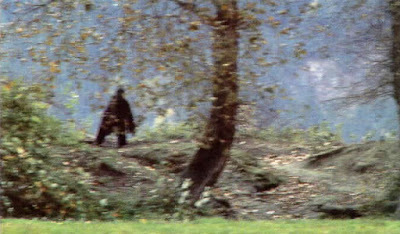 The pictures was taken in Dewdney, British Columbia in 2006. 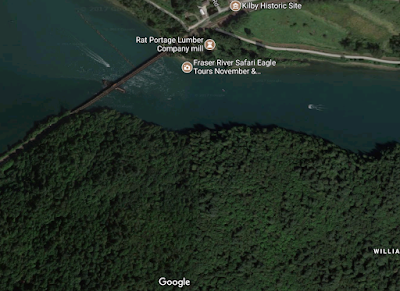 There is a river tour, called the Fraser River Safari that takes people to the 100 year old haunted house in Kilby. During the tour this figure was spotted on the river bank. The supposed Sasquatch moved around as if angry and threw rocks. It then disappeared behind some bushes. This event was witnessed by 19 people on the boat tour. But lets look at more of the details. The picture was taken by Jo-anne Chadwick. Jo-anne and her husband, Chad, own Fraser River Safari. This event took place around Halloween. 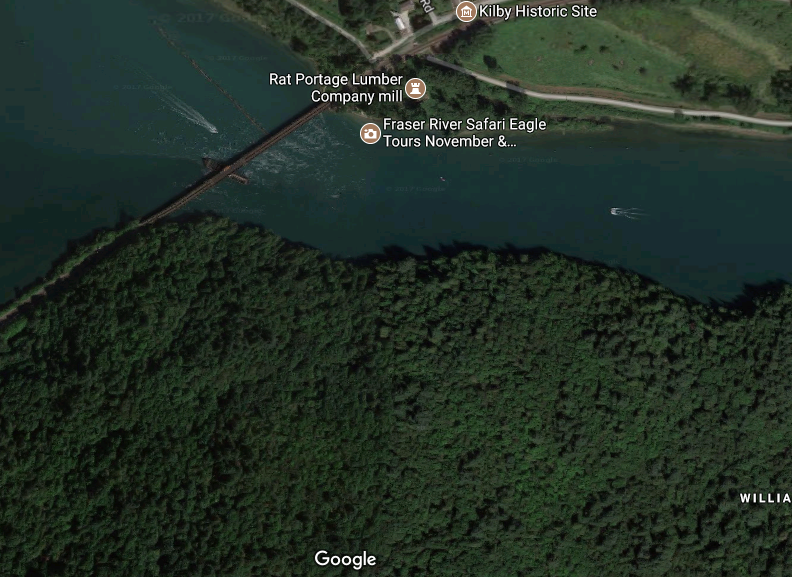 The haunted house in Kilby is a display type of thing but they have numerous activities there such camping, boating, gift shop and more. It is a tourist attraction. 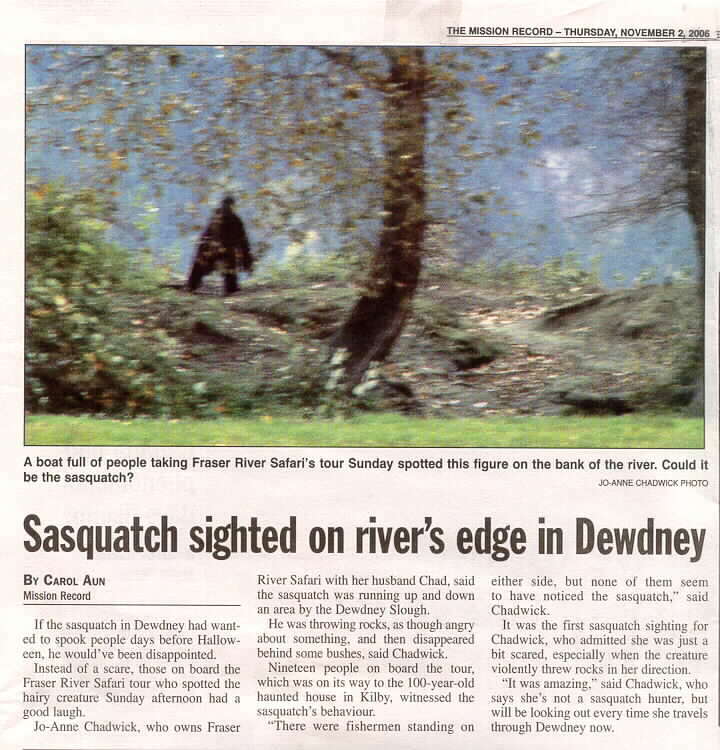 The local newspaper ran the Chadwick photo in the paper with a nice little article. This event did get the attention of bigfoot researchers. Thomas Steenburg did follow up on the sighting and actually spoke with Jo-anne and Chad. They assured Mr. Steenburg that it would be a waste of his time to follow up any further on the report. That it was, as we can see, a costume and done for some kids who were always taking about sasquatch. In other words, this was a staged event for the tourist who were riding the boat. 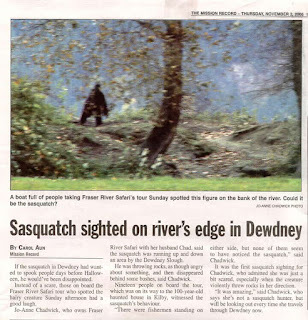 If you read the newspaper article it even states that they "had a good laugh" after spotting the creature. So, this was just a fun little thing to entertain tourist and it got taken out of context. I do not fault the Chadwicks for this, as they were just trying to make a fun event more fun. It is no different than what happens at numerous bigfoot events. 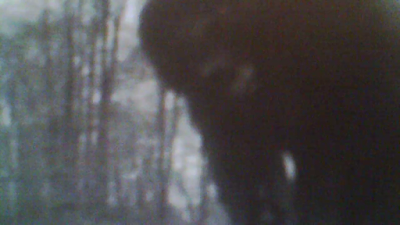 In fact, our local state park is using a bigfoot suit in some of its facebook videos. Where you may be able to fault them is the quotes in the newspaper article. They could have come clean and cleared everything up but I guess they wanted to make it more interesting place to visit. 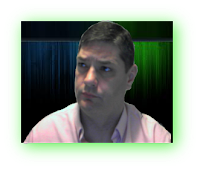 I commend Mr. Steenburg for doing the follow up and getting to the bottom of it. So, there you have, more of the story. This 2006 photo was just a staged event for kids and tourist. But you know, there are probably real Sasquatch around this area. As you can see in the picture below, there are some nice forest around this particular spot.